Today, one in 15 Vancouverites works in the green economy. There’s no better example to illustrate Vancouver’s reputation as a forward-looking and sustainable city than the success story of this thriving sector. In the years since we have taken on the green economy as a key area of focus, we have designed and implemented several programs to foster its growth. This includes our Green and Digital Demonstration Program (GDDP) and its subsequent regional expansion, as well as our work with the industrial business community on the Flats Economic Development Strategy and Industrial Insights Research. It also includes the digital and in-person programming of Thriving Vancouver, Startup City: Impact, and our Cleantech Capital Mentorship Program and Cleantech Investment Showcase. In addition to designing initiatives to grow this sector, we monitor the health and trends of our green economy – which is why we have issued an update on job numbers every three years (2010, 2013, 2016). The upcoming 2018 report is a deeper dive into that data – and you get to sneak a peek at it today. 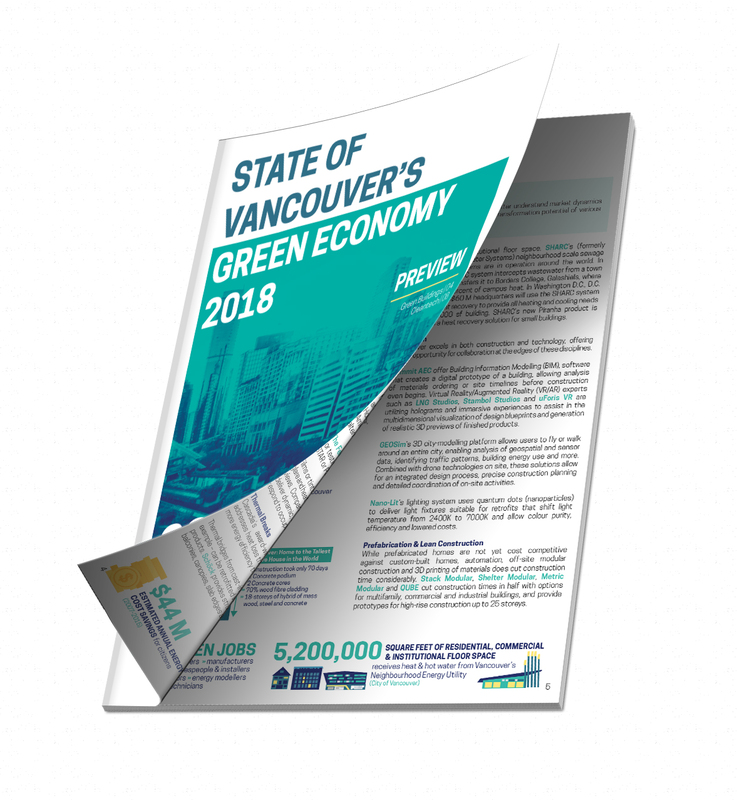 The full State of Vancouver’s Green Economy 2018 report was released on June 4, 2018. Click here to see the full 2018 report. This preview of our report, ‘State of Vancouver’s Green Economy 2018’, updates you on our green economy data for two of the fastest growing green sectors – green buildings and cleantech. Interested in seeing the full report?